The Google Pixel XL uses USB Type-C technology to quick charge at a peak charge speed of 18W. 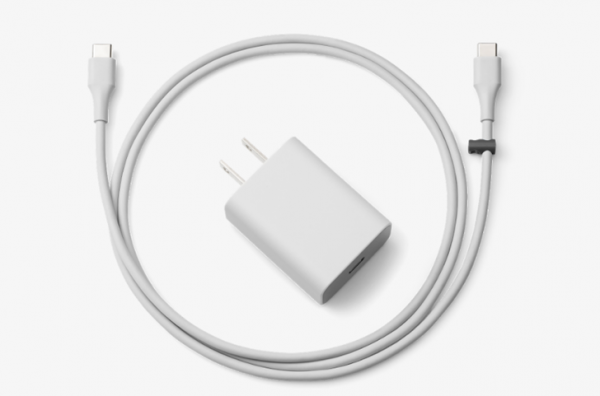 The Google Pixel XL ships with a USB Type-C 18W adaptor with USB-PD for charging. If you need a spare charger for travel, work etc., the original 18W USB-C Power Adapter from Google costs a whopping $35. There are many other cheaper USB Type-C chargers available in the market that get the job done. Listed below are the top 5 best Google Pixel XL USB Type-C chargers. 1. 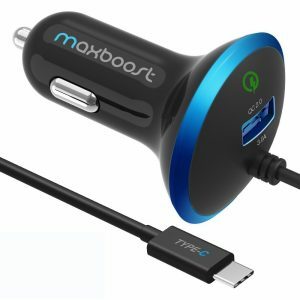 Maxboost USB Type-C Car Charger: The Maxboost USB Type-C Car Charger charges the Google Pixel XL at 15W and comes with a 3 feet long USB Type-C integrated charging cable. The dual-port Maxboost USB Type-C Car Charger also features a Quick Charge 2.0 port. The Maxboost USB Type-C Car Charger is available in 2 colors. 2. iClever BoostDrive USB Type-C Car Charger: The iClever BoostDrive USB Type-C Car Charger is capable of charging USB Type-C devices at 15W and other devices at up to 12W. 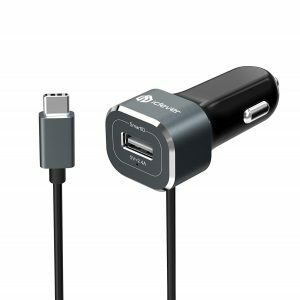 The iClever BoostDrive USB Type-C Car Charger too comes with a 3.3 feet built-in USB Type-C cable. 3. Choetech USB Type-C Wall Charger: The Choetech USB Type-C Wall Charger is a very efficient and low-cost charging option for the Google Pixel XL. Though the Choetech USB Type-C Wall Charger charges the Google Pixel XL at 15W instead of its peak charge speed of 18W, the Choetech wall charger is a good option for a spare. 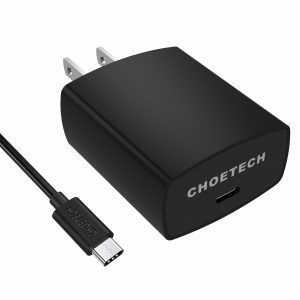 The Choetech USB Type-C Wall Charger includes a USB C cable too. 4. 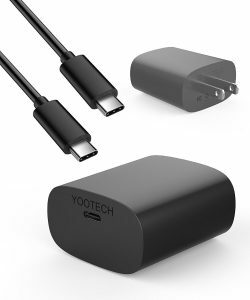 Yootech USB Type-C Wall Charger: If you need a spare USB Type-C wall charger for your Google Pixel Xl, the Yootech USB Type-C Wall Charger is a good choice. The Yootech USB Type-C Wall Charger pumps in 15W into the Google Pixel XL with the included 3.3 feet USB Type-C cable. 5. 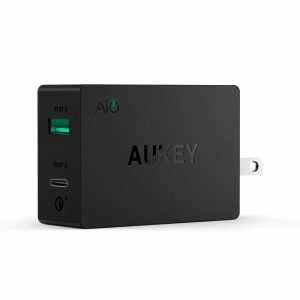 Aukey USB Type-C Dual-Port Wall Charger: The Aukey USB Type-C Dual-Port Wall Charger features an USB-C port and an USB-A port for charging. The Aukey USB Type-C Dual-Port Wall Charger charges the Google Pixel XL at 15W through the USB-C port and other devices at up to 12W through the USB-A port. A 3.3 feet USB-C cable is included in the package. These are the top 5 best Google Pixel XL USB Type-C Chargers.